This customer wanted to created a terraced yard for their home on the side of a mountain. 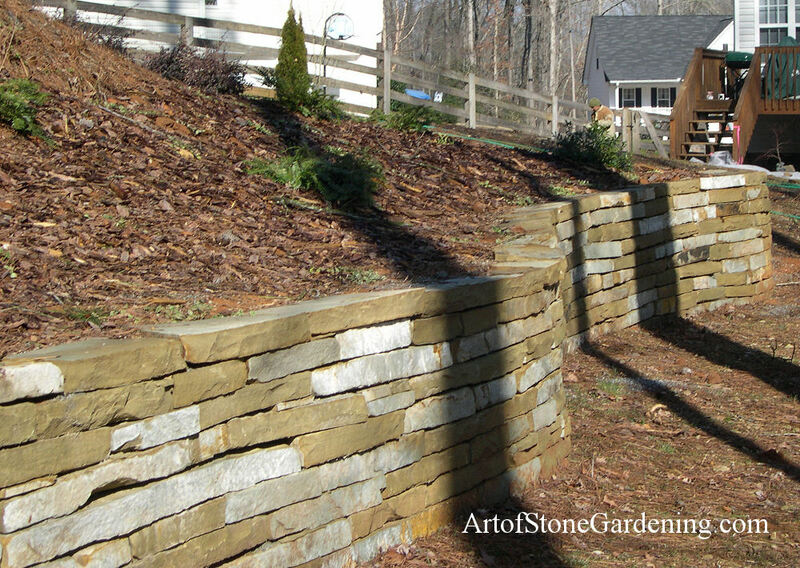 While cement blocks are often the most cost effective way to build a retaining wall, this customer wanted a more contemporary look. No cement, no mortar. They chose the stacked stone and we got to work. We put gravel behind and below the wall to help with drainage and to give the wall a bit more support.